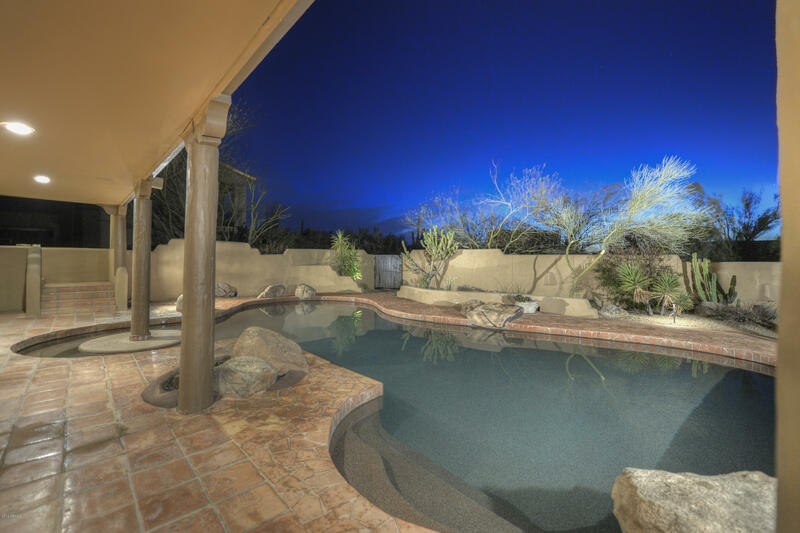 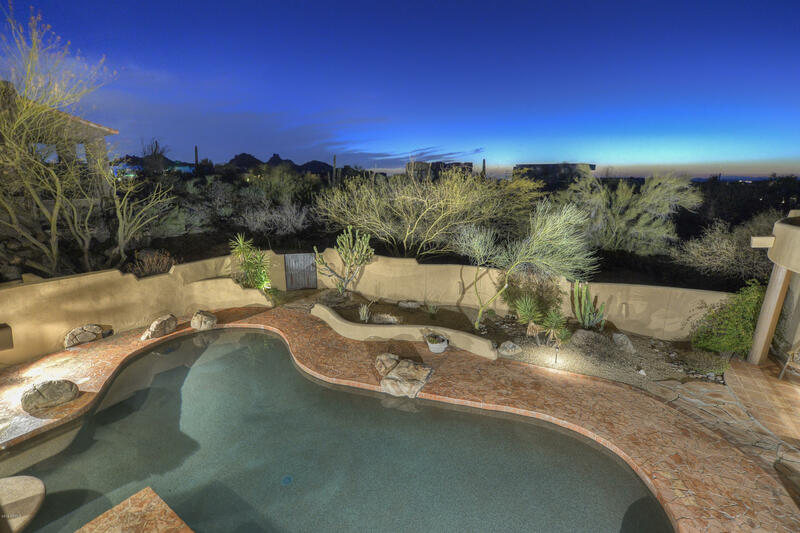 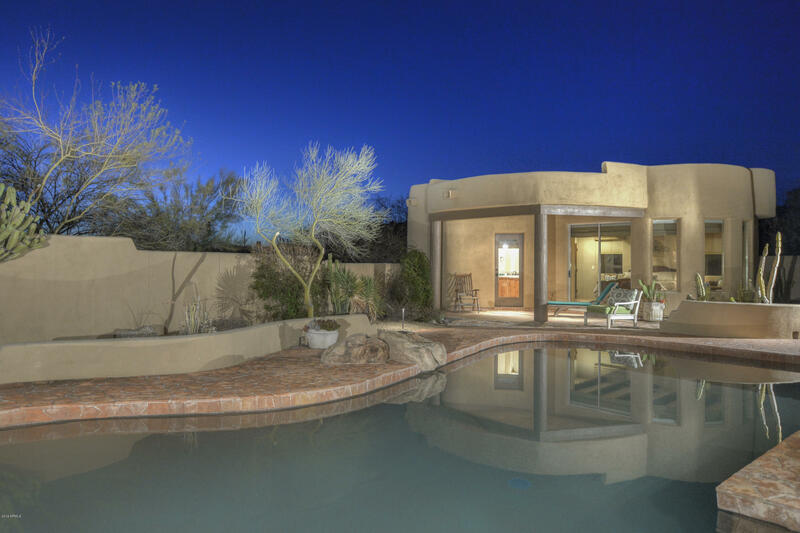 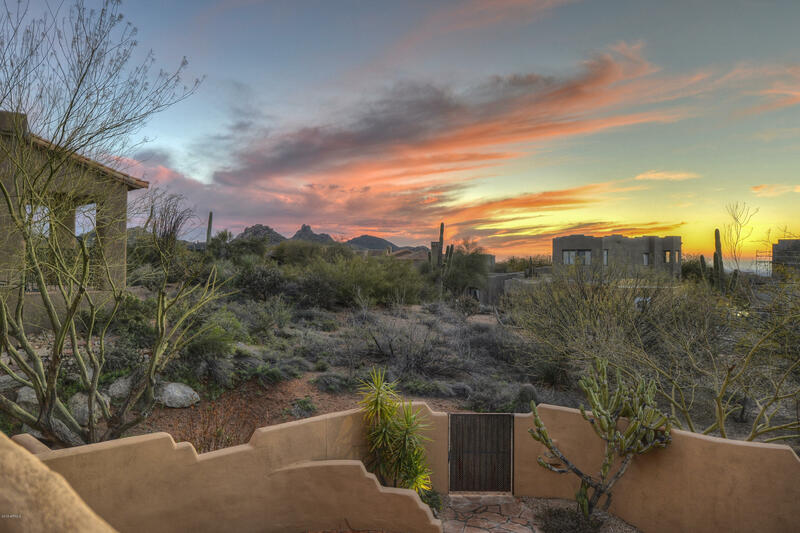 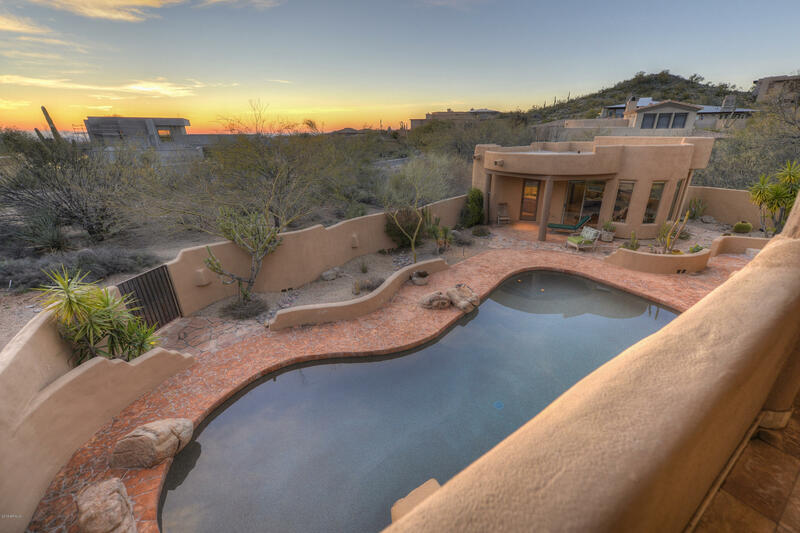 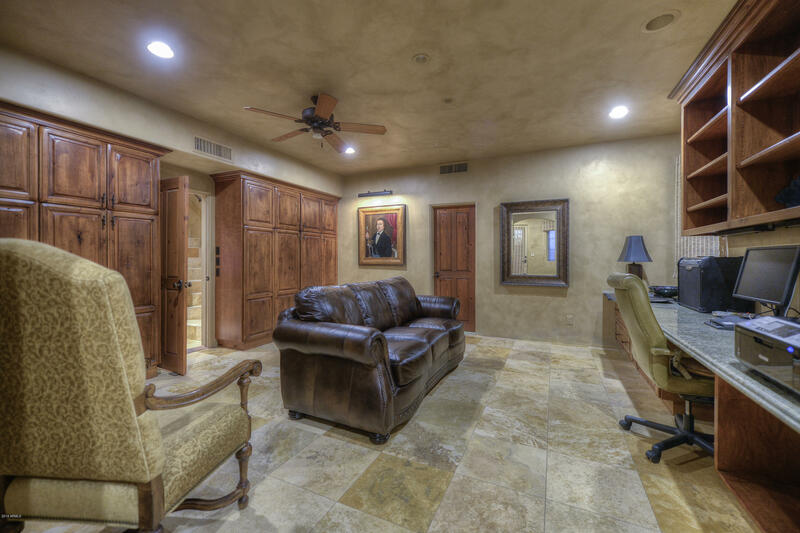 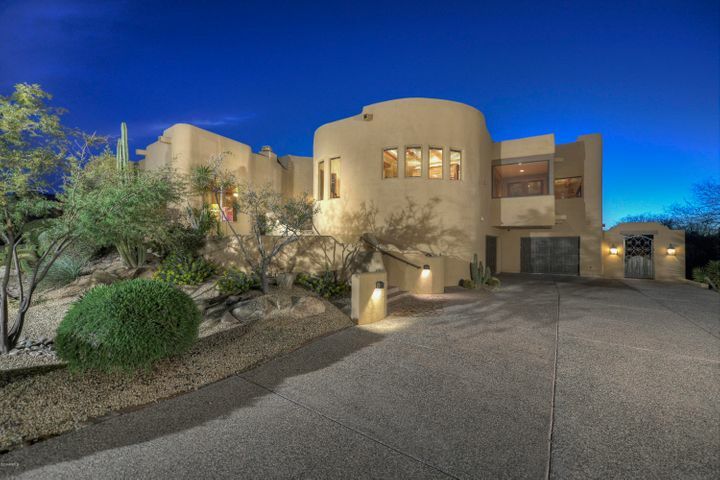 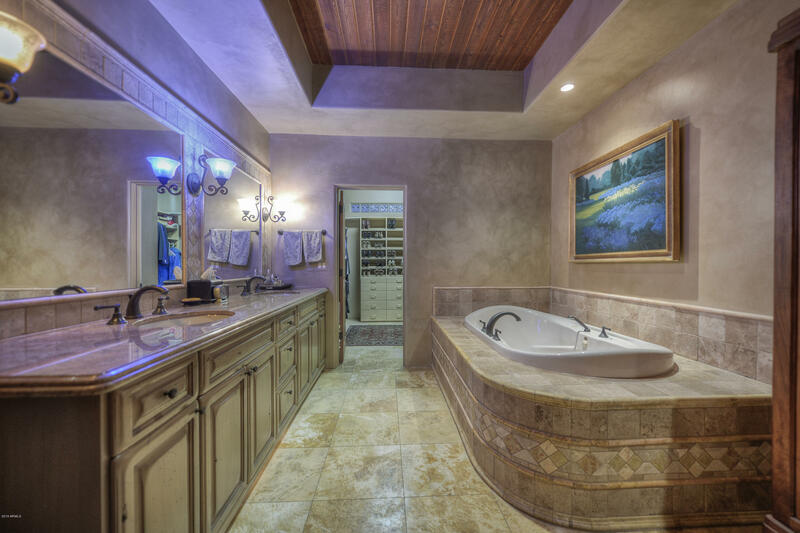 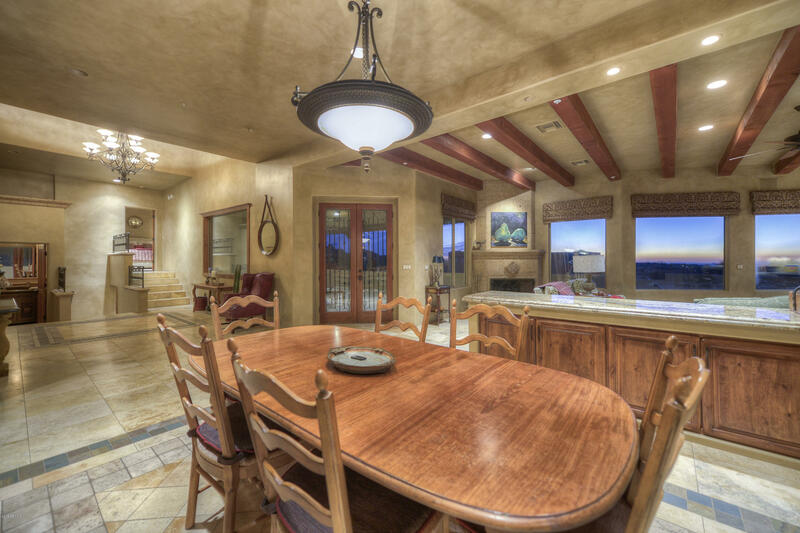 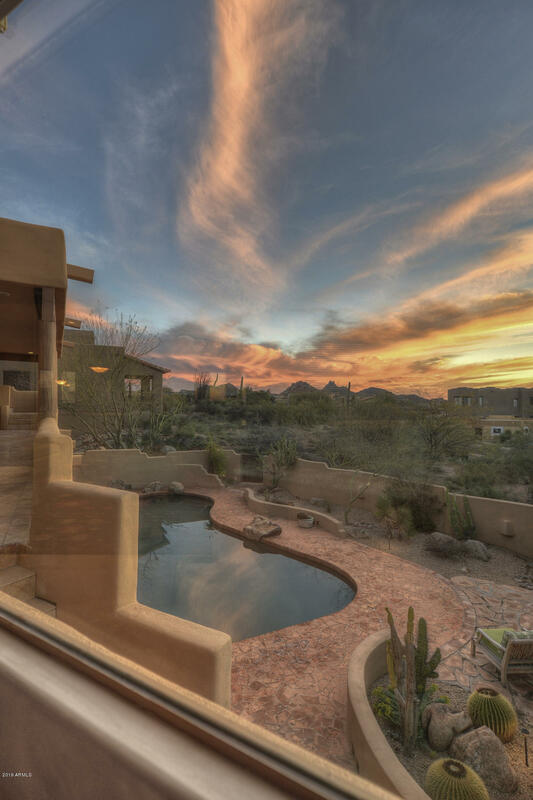 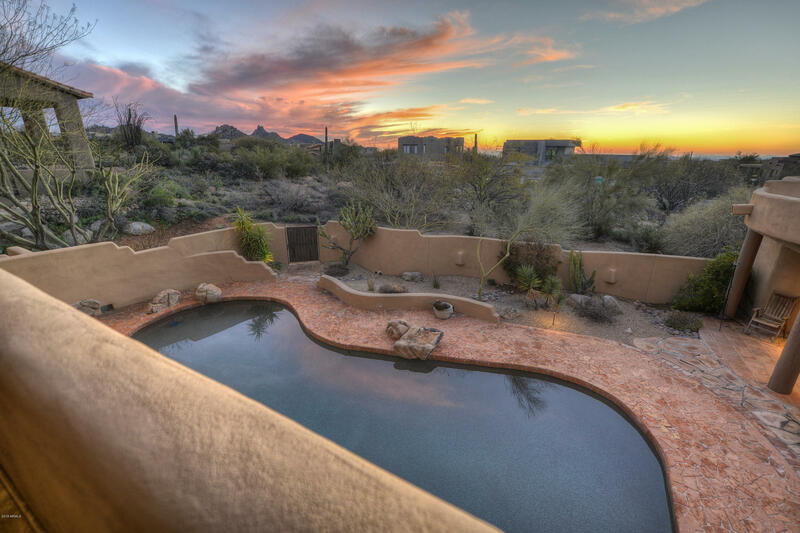 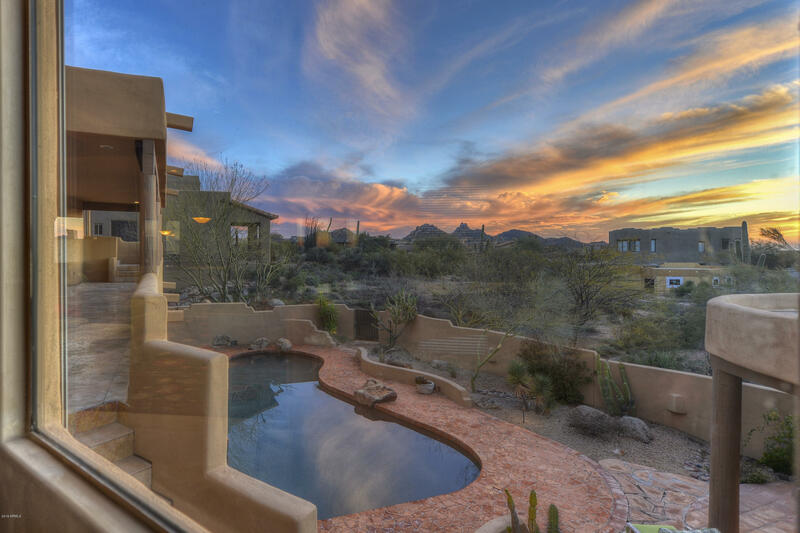 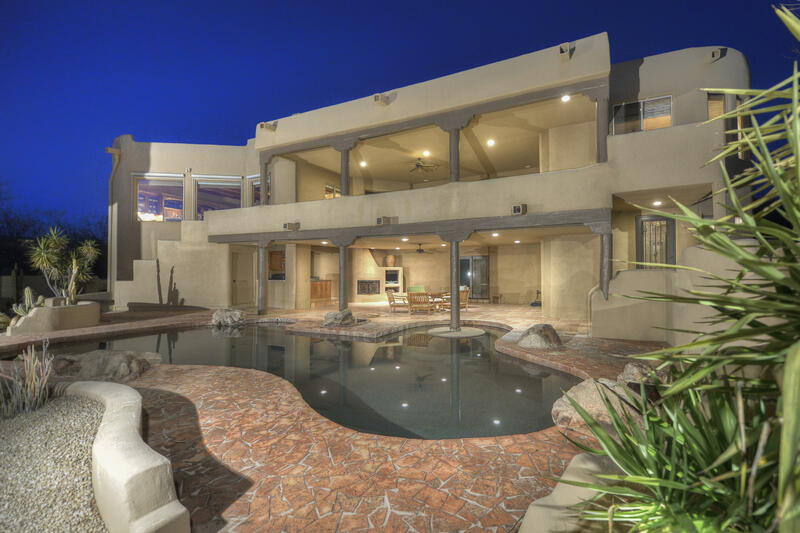 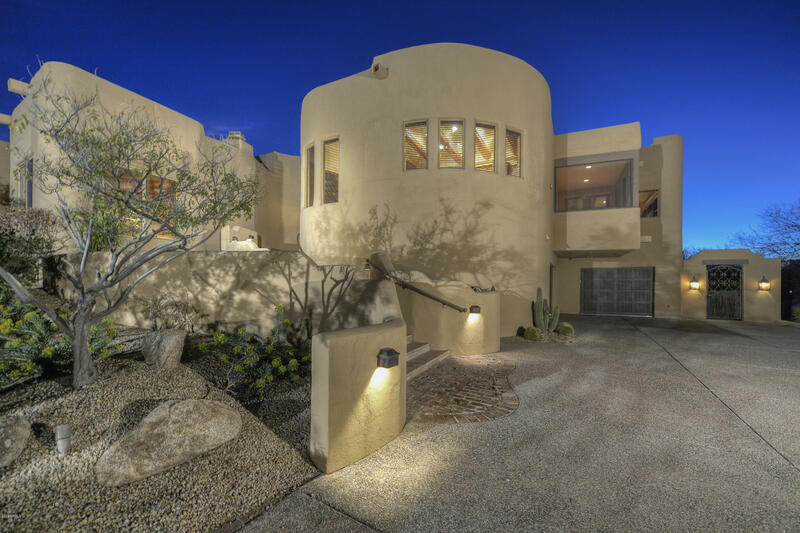 Luxury Estate located in the guard-gated golf community of Candlewood at Troon North. 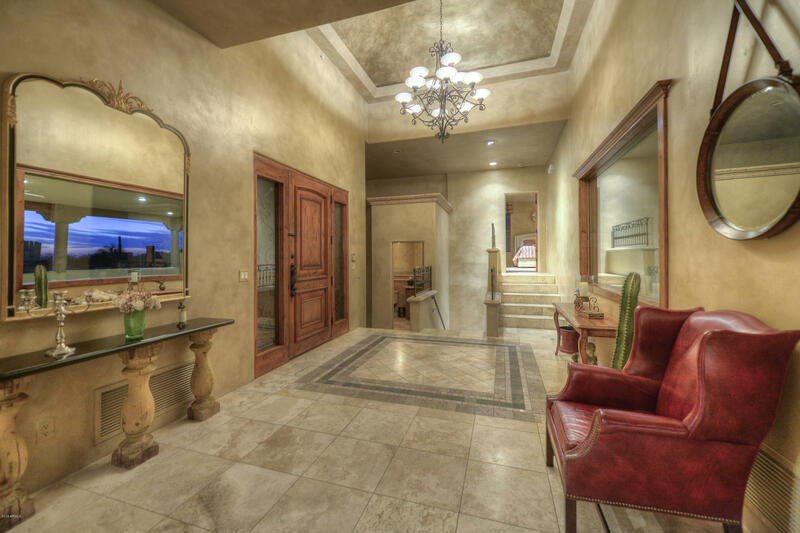 Elegant but casual w/exquisite finishes & attention to detail. 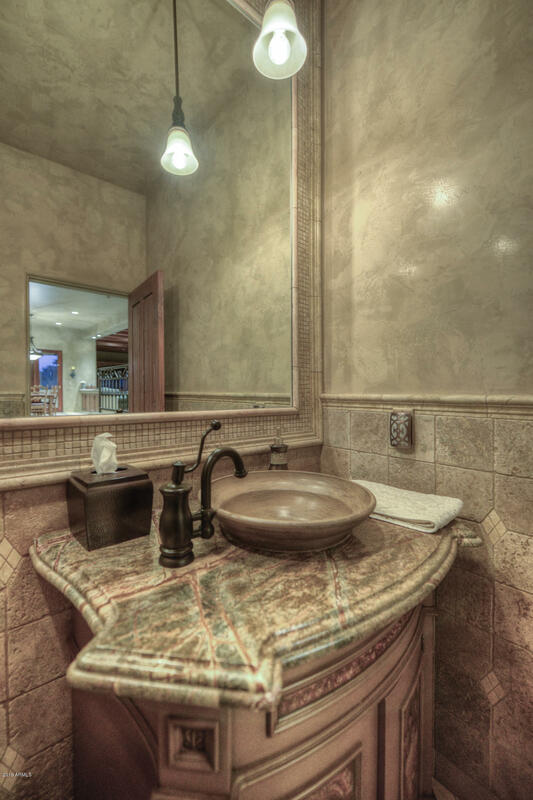 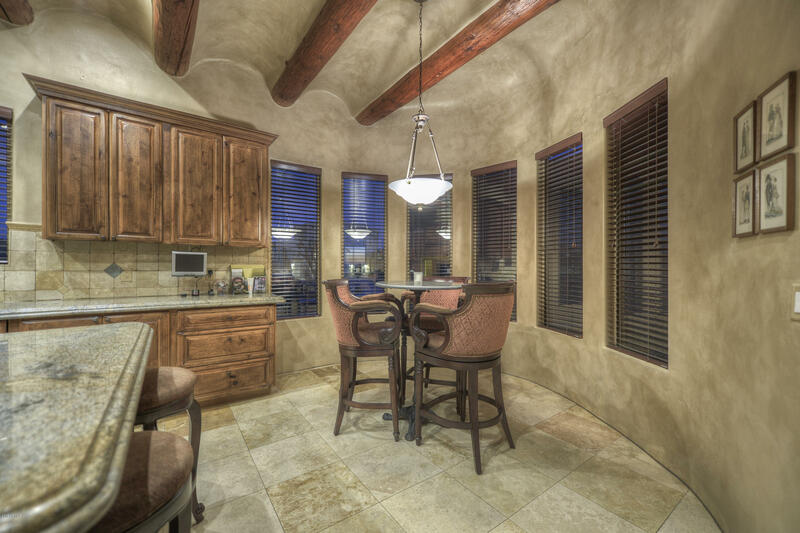 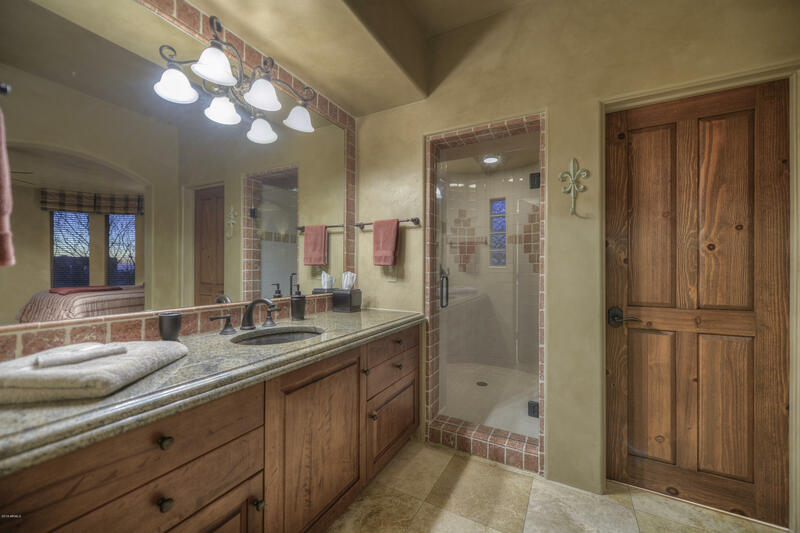 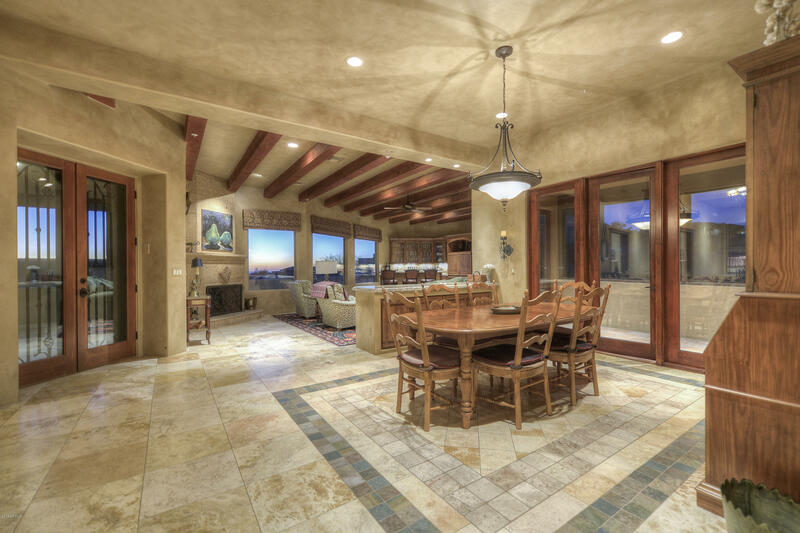 Travertine floors, granite counter tops & natural stone used throughout. 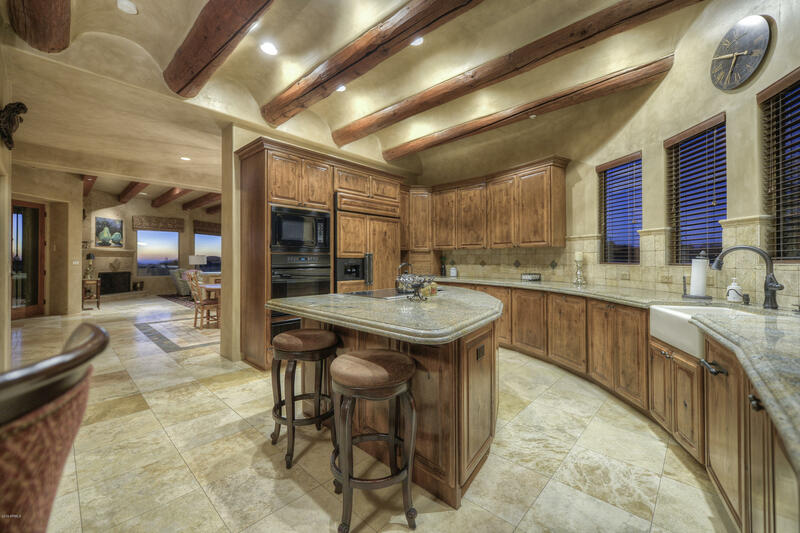 Kitchen w/top of the line appliances, alder wood cabinets & doors. 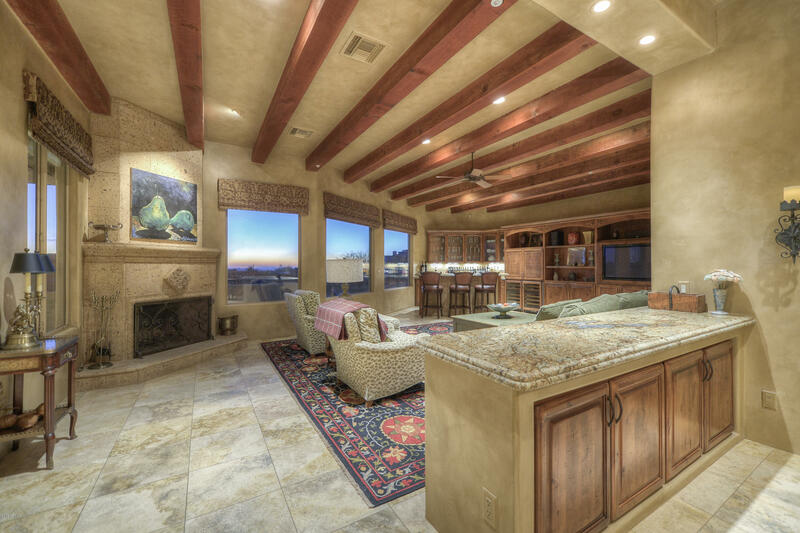 Great Room w/built-in entertainment, ss w/speakers indoors & out. 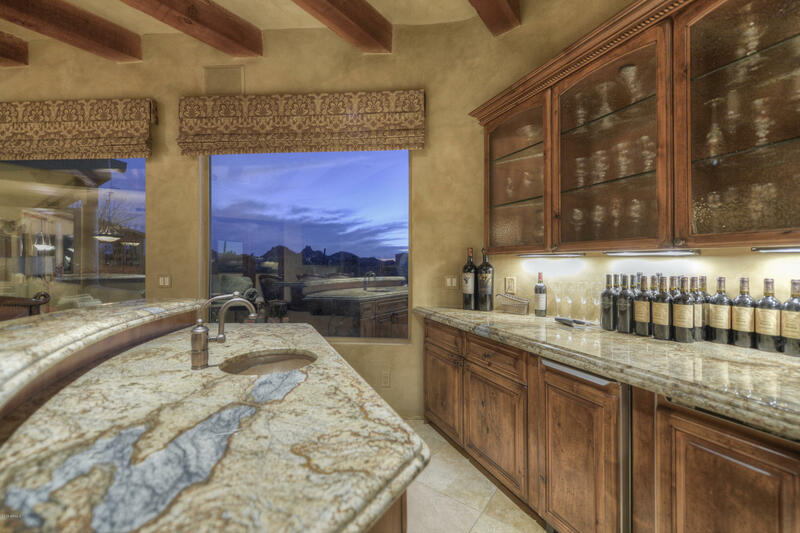 Wet Bar w/wine chiller, icemaker & fireplace. 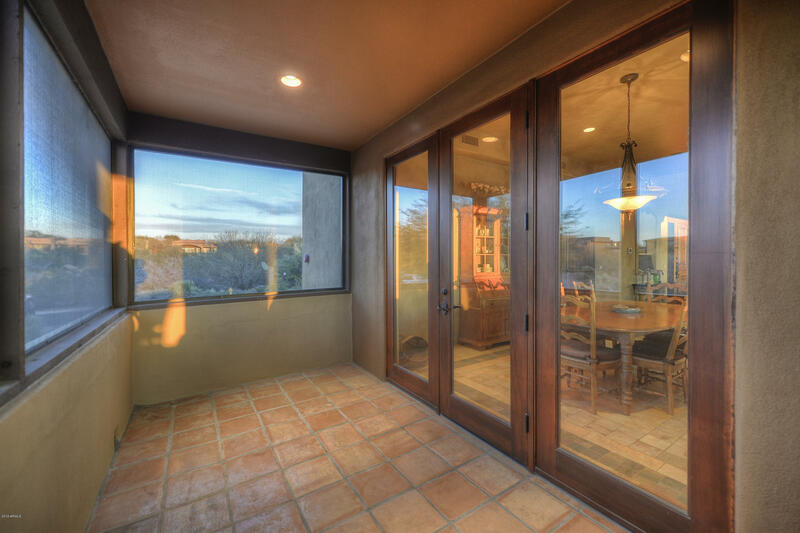 Motorized shades. 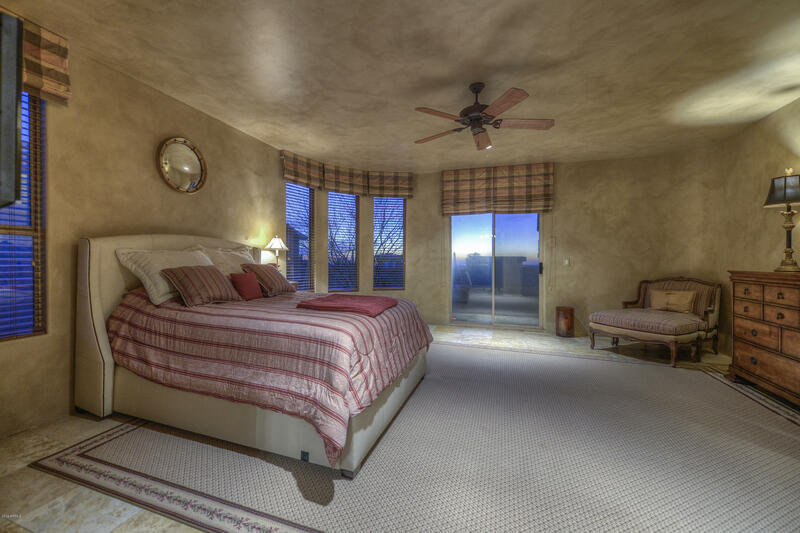 Large Master Suite w/sitting area, dual vanities & walk-in closet. 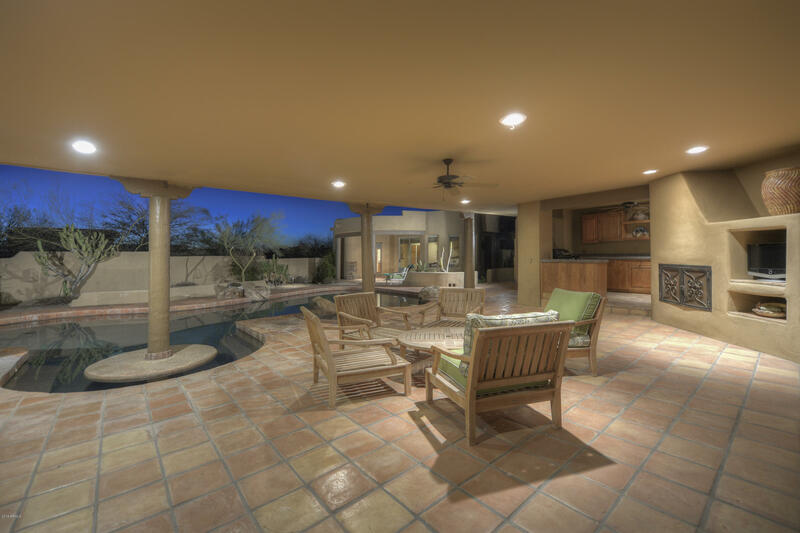 Mini Master w/private patio. 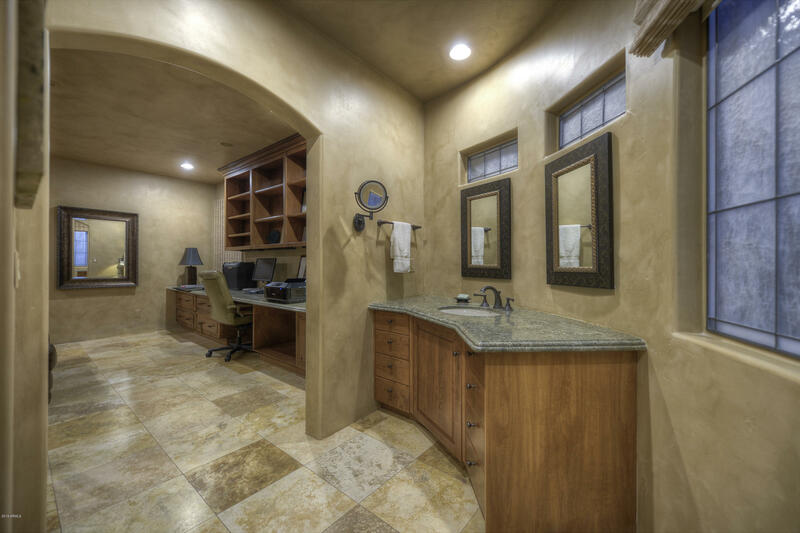 Office/4th Bedroom has built-in desk, cabinets & murphy bed. 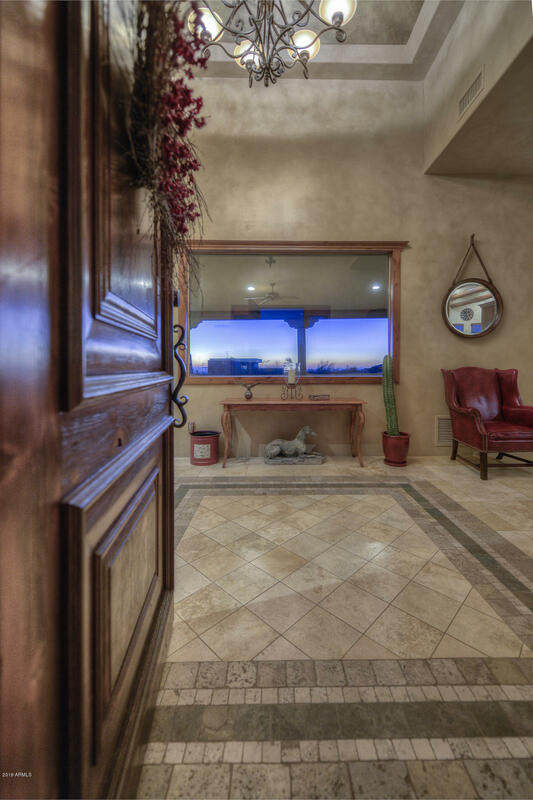 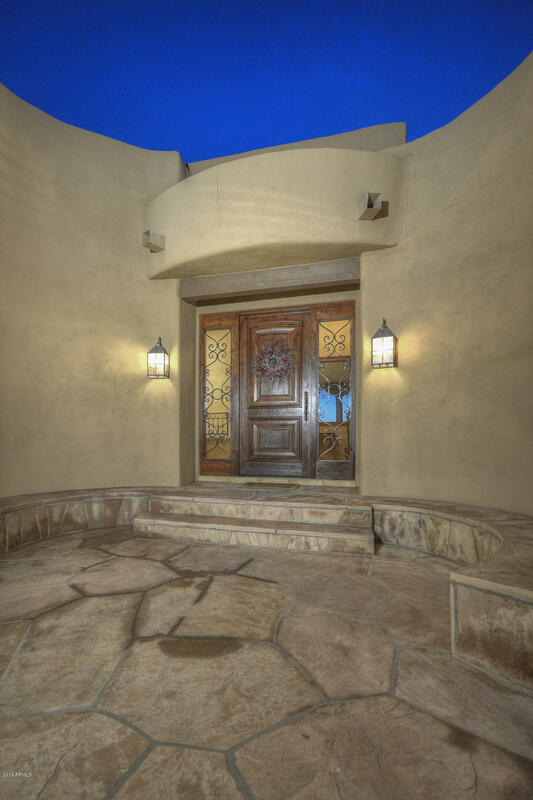 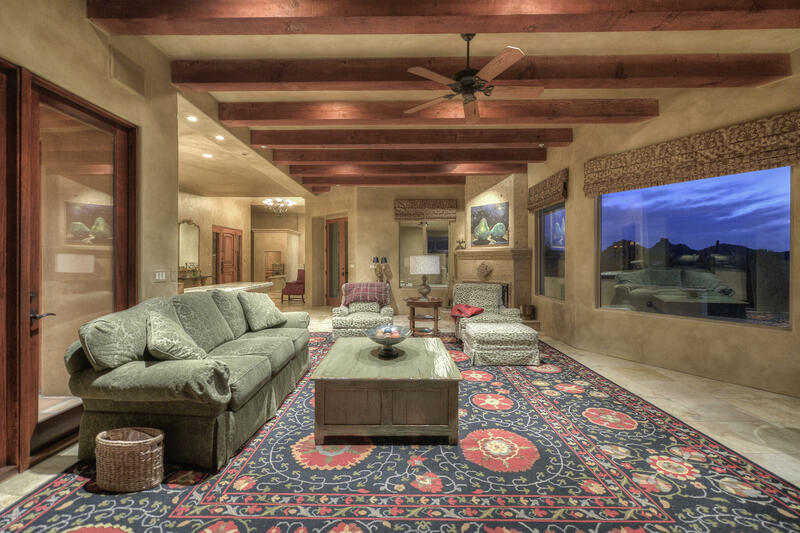 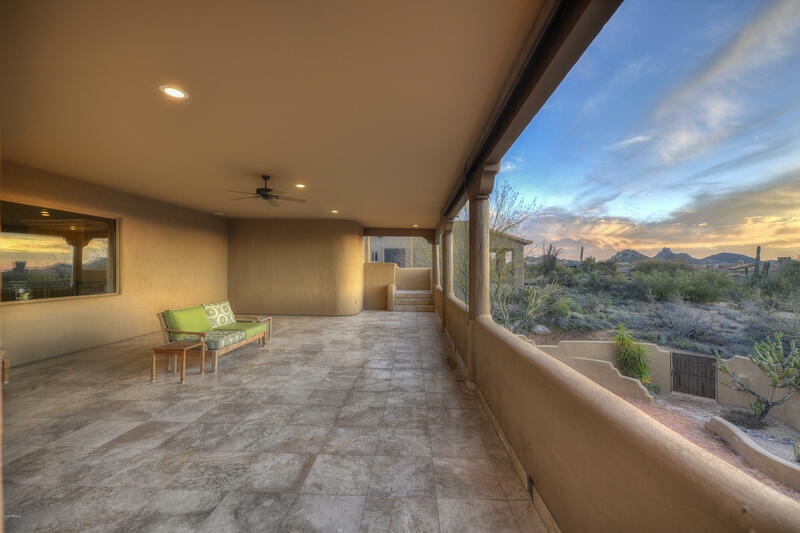 Spacious deck w/new flooring to entertain & enjoy Mtns, Desert & AZ sunsets. 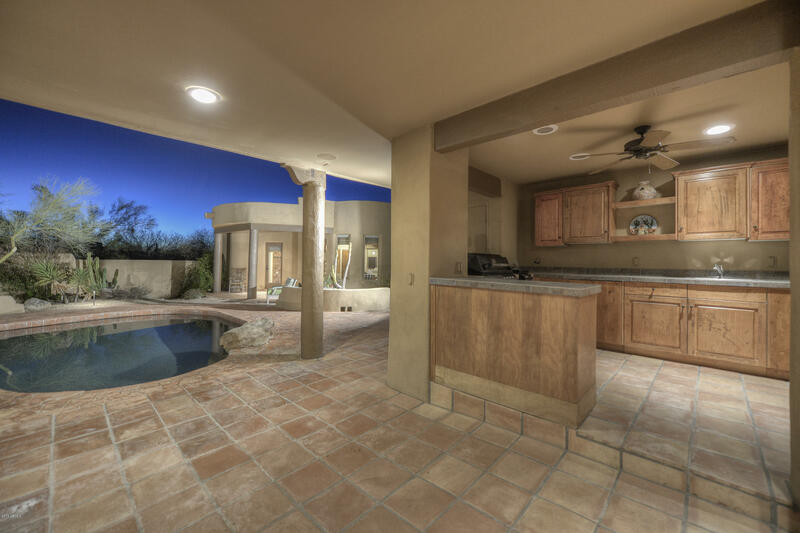 Resort Backyard w/pool, spa & outdoor kitchen. 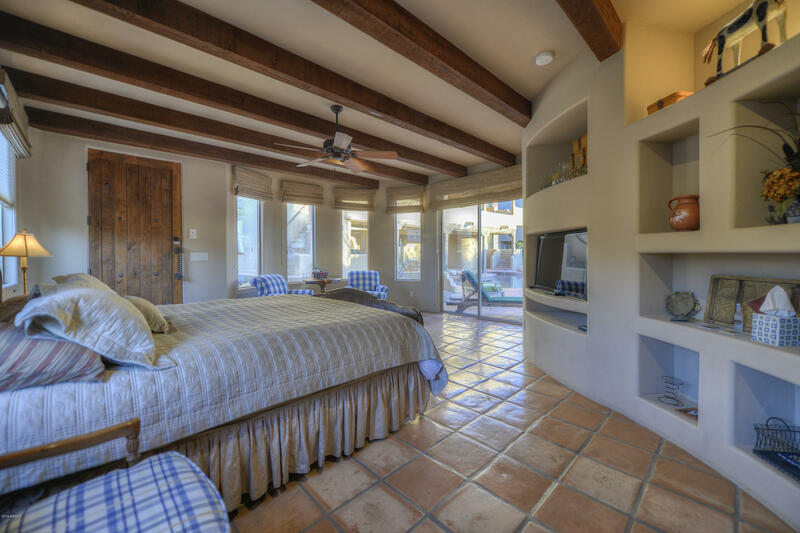 Separate Guest House. 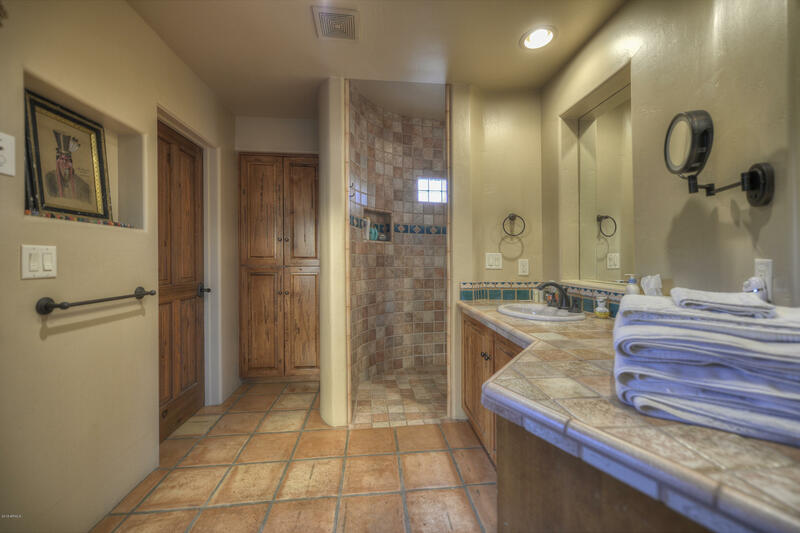 All AC's & hot wtr heater replaced. 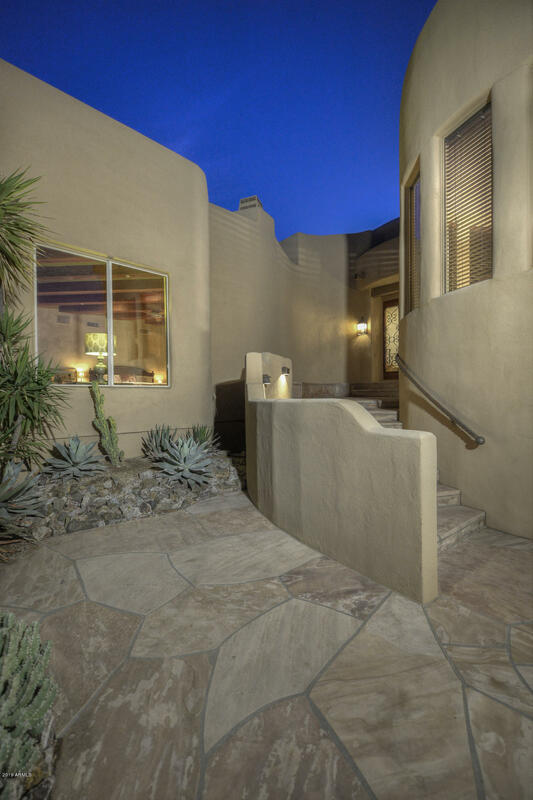 Exterior painted.